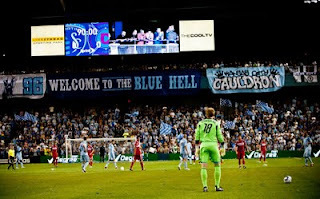 The Wizards had another sellout at LIVESTRONG Sporting Park tonight in their win over Real Salt Lake. 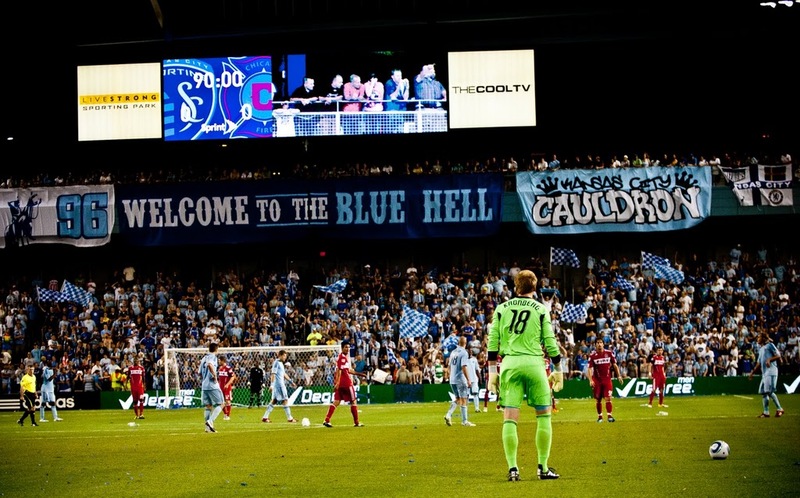 That sellout tonight does a few things for Sporting KC's attendance this year. The first, is that KC could have an announced attendance of 0 for each game for the rest of the season and the first 8 games (average 8,400 if 0 the rest of the way) this year would out draw the average of the 1999 season of 8,183. The other thing that this sellout did, is it put the total attendance so far this season at 142,802, which is more than the 1998 season (137,189), 1999 season (130,924), and the 2001 season (142,402). Here's the attendance for the 8th home game through the years. And take a look at the list for the last home game. Some low points this week in the 98, 99, 00, and 05 seasons, with only one of those even cracking 6,000. Here are the rankings of the seasons currently with their movement from last week and the amount their average went up or down. Some big drops this week with the 2005 and 2000 season all losing over 500 off their average from last week. The 2011 season's lead decreases, but that shouldn't be a problem in the end as they're still averaging over 1,000 more than the 2004 season at this point. There was at least 3000 empty seats. The sections in the corners are empty every game. What do they constitute as a sell-out? Tickets sold constitutes a sell out. They sold 18467 tickets. Tuesdays royals game announced 16000 I assure you their weren't 11000 there. Either way they average more fans per game than royals do. awesome. What Rk said, all teams do it by tickets sold/distributed. Some of the empty seats came from the fact that a lot of people were standing up on the walkway where there was a breeze rather than sitting in their seat.